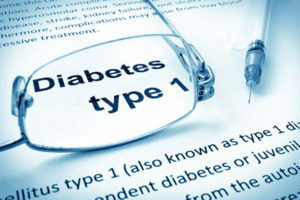 Diabetes or diabetes mellitus to give its full name has two types, simply called type 1 and type 2, in this section we will be talking about type 1. For more information on type 2 diabetes click here. Type 1 diabetes, also known as insulin dependent diabetes, develops when the insulin producing cells in the pancreas have been destroyed and the person stops producing their own insulin. The body needs insulin to turn food into energy so without it blood sugar levels rise and there is too much sugar in the blood. It generally affects children and young adults of both sexes and will usually become apparent before the age of 40. The cause of diabetes is thought to be a problem with the immune system, known as an autoimmune disease. The body believes healthy cells are foreign invaders so attacks and damages them instead of fighting to protect them. In type 1 diabetes the body attacks the insulin producing cells.What triggers the body to attack itself is not fully understood, although the following risk factors appear to play a role. Pancreatic disorders – the pancreas produces insulin, and so any disease that affects the pancreas may reduce the production of insulin. There are a few myths associated with diabetes such as, eating too many sweets causes diabetes, this is not true! Diabetes is not contagious, you cannot catch diabetes from somebody with the condition. Weight loss with no cause. Tendency to get minor infections e.g. boils urine infections or thrush. The symptoms such as urinating more than usual happens as the body tries to get rid of the excess glucose in the urine. What might happen if diabetes is left untreated? The onset of diabetes can be rapid or very gradual. If undiscovered, patients can develop serious complications such as blindness, kidney disease, impotence and nerve damage that could lead to amputation. Studies show that people with undiagnosed diabetes also have a higher risk of coronary heart disease and strokes. Therefore early diagnosis is key and has obvious benefits so if you have any of the symptoms mentioned above or suspect you might have diabetes you must visit your doctor. Diabetes is often diagnosed by a doctor during routine urine or blood tests, when the test shows the presence of glucose. If you suspect you might have diabetes your doctor may start by giving you a simple dip urine test to look for the presence of glucose in your urine. Normally, there should be no sugar in urine but when the levels of glucose in the blood rise above normal, glucose is spilled into the urine by the kidneys. This is why diabetes symptoms, such as excessive urination and genital itching, occur. If sugar is present in urine it is a good indicator of diabetes. 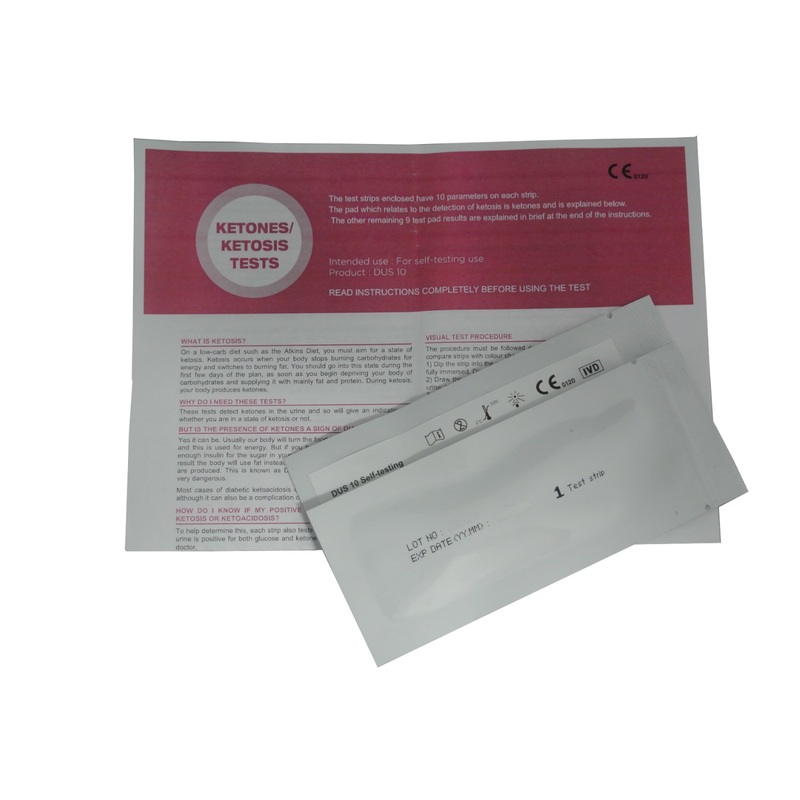 If an initial screening test shows glucose is present in urine then a blood test, which measures the actual amount of glucose in the blood will need to be carried out. We have a blood glucose monitoring system available on this website which gives an accurate picture of your blood glucose level at the time of the test. For more information or to buy this test click here. The primary aim of treatment is to keep blood glucose levels stable, the quicker levels are brought under control the better the long term prospect of damage. Type 1 diabetes requires the use of insulin injections. You will need to take these injections for the rest of your life. In addition to this you will have to stick to a healthy diet and limit your consumption of sweet sugary foods. Insulin can only be given by injection because if it was given by tablets your stomach juices would destroy the insulin. For more information on living with diabetes click here. For more information on treating diabetes click here. It is important that insulin levels are managed, if you take too much insulin it can make blood sugar levels drop this is called hypoglycaemia. For more information on this click here. If blood sugar levels become too high then a condition called hyperglycaemia can develop, for more information on this click here. You will need to monitor your blood glucose levels regularly and you should aim to keep the levels between 4 and 7 mmol/L before meals and less than 9mmol/L after a meal. The HbA1c test to measure levels will also be carried out regularly to see what your glucose levels have been like over the previous months. What complications can arise from having diabetes? Heart Disease – this is due to the hardening of the arteries. Eye problems – arteries at the back of the eye become damaged. For more information on the various complications click here. To avoid complications it is essential that you take good control over your glucose levels. It is also important to keep a healthy weight, stop smoking, have a low alcohol intake and get regular exercise. There is currently no cure for diabetes, once present it is there for life. The good news is that it can be controlled by proper treatment and self care, then once you get used to testing your glucose levels/ taking medication it will become part of your everyday life, like brushing your teeth.